The funded status of the 100 biggest corporate DB plans fell by $5 billion in March, as measured by the Milliman 100 Pension Funding Index. 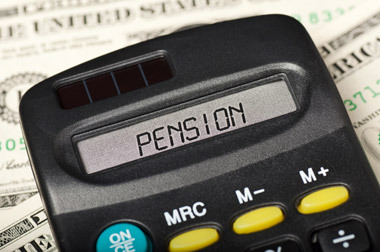 The funded status of the country’s 100 biggest corporate defined benefit pension plans fell by $5 billion in March, as measured by the Milliman 100 Pension Funding Index. The deficit increased to $266 billion from $261 billion at the end of February, owing to both a drop in the benchmark corporate bond interest rates used to value pension liabilities and flat asset returns during March. The index reflects the monthly effect of market returns and interest-rate changes on constituents’ pension funded status, using the actual reported asset values, liabilities and asset allocations of the companies’ pension plans. As of March 31, the funded ratio of the 100 plans stood at 84%, down from 84.3% at the end of February. A meager investment gain of 0.3% for March kept the Milliman index asset value at just under $1.4 trillion, unchanged from the end of February. By comparison, the 2014 Milliman Pension Funding Study reported that the monthly median expected investment return during 2013 was 0.6% (7.4% annualized). “It was a brutal first quarter, with the deficit for these 100 pensions climbing by $79 billion due to a combination of asset underperformance and interest rate decreases,” John Ehrhardt, co-author of the Milliman index, said in a statement. Other sectors also suffered during the first quarter. The latest index was released Tuesday, the same day Detroit, which is trying to emerge from bankruptcy, reached tentative agreements with two pension funds that would result in modest reductions in monthly checks to beneficiaries. Looking forward, Milliman said that if the 100 pension plans in the index were to achieve the expected 7.4% median asset return for their pension portfolios, and if the current discount rate of 4.3% were maintained, funded status would improve. The funded status deficit would shrink to $232 billion (86.1% funded ratio) by the end of 2014 and to $182 billion (89.1% funded ratio) by the end of 2015.